man your good Quentin94!� �i love this! and their not pink!....hooray!! Really though,great work! 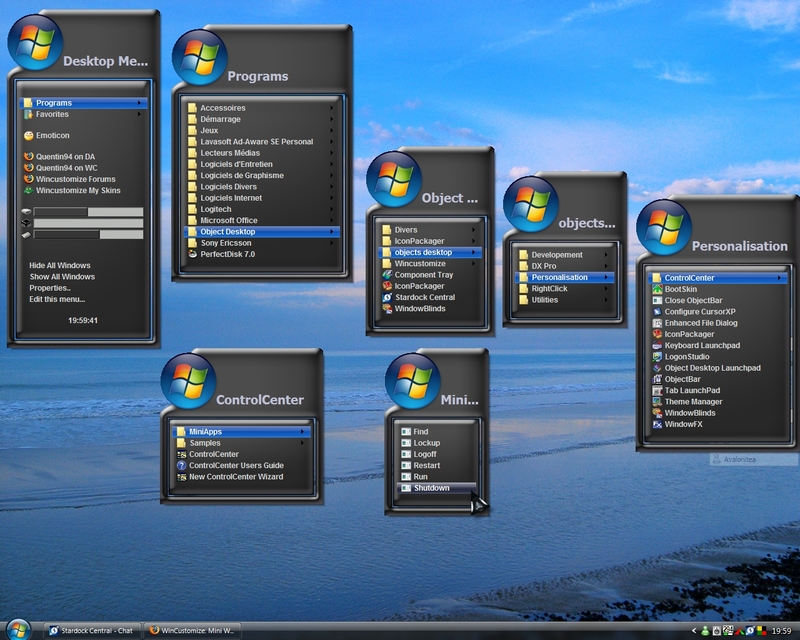 Control and right click will bring up the default windows right click menu which has refresh etc on it. Great work again as usual, good stuff, just 1 question, where can i find those meters, ive looked everywhere for something like that that can be hidden in the right click but cant seem to find it. Please somebody tell me how to use this skin?? I'm trying to use with desktop x but still can use it... I really want it!!Please.. Thanks Quentin94 but can u tell me how to load your skin? Thanks a lot.Love Ur Skin! !